He killed John Wayne on-screen in “The Cowboys”. 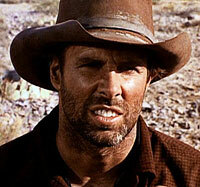 Alone, that’s enough to qualify Bruce Dern for inclusion into the Heavies Hall of Fame. But his 25 nasty appearances on TV Westerns like “Bonanza”, “Big Valley”, “Wagon Train”, “Gunsmoke” and others, along with several movies, lend even more credence to Dern’s qualifications among the best of the badmen. Born Bruce Macleish June 4, 1936, in Chicago, Illinois, he is the nephew of poet Archibald Macleish. His prominent American family connected with the law and politics, Dern graduated New Tier Township High School in Winnetka, Illinois, attended the University of Pennsylvania in Philadelphia, studied at the renown Actors Studio in 1959, then plunged into TV and movie work in 1960, honing his craft first on stage then on a variety of shows which eventually culminated in a best supporting actor award nomination for “Coming Home” in ‘78 as Jane Fonda’s troubled Marine husband. But it seems Dern’s best work was then behind him. He’d given up TV guest shots as of 1970 to concentrate on films, but after the nomination he drifted into art-house films and other projects that no one ever saw, essentially crippling his career. In recent years he has emerged as an older, wiser character actor in more mainstream films, “Wild Bill” (‘95), “Last Man Standing” (‘96), “The Haunting” (‘99), “All the Pretty Horses” (‘00), “Glass House” (‘01), “Monster” (‘03), “Django Unchained” (‘12), “Nebraska” (‘13), and “The Hateful Eight” (‘15). 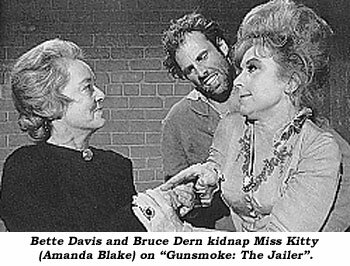 Dern was first married to Marie Dean (years unknown). When they divorced he married actress Diane Ladd in 1960. They had two daughters, including actress Laura Dern. Divorced in ‘69, Bruce married Andrea Beckett later that same year.